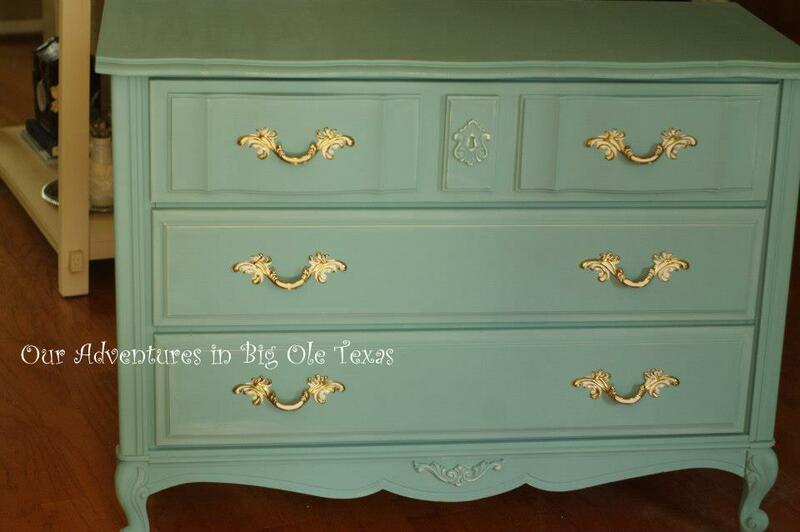 Ok so I'm hooked on chalk paint. Really cute but looks a little dated and with a laminate top, and painting it with other than chalk paint was going to be a major pain. 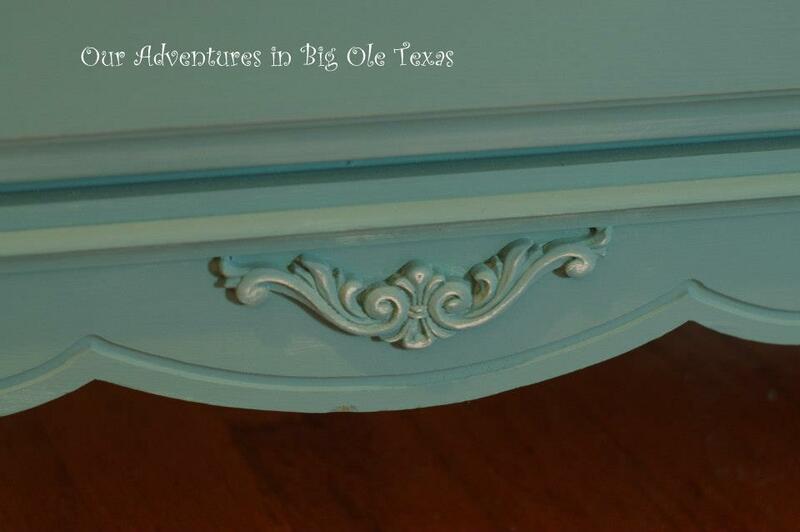 So of course, I used Annie Sloan Chalk Paint. 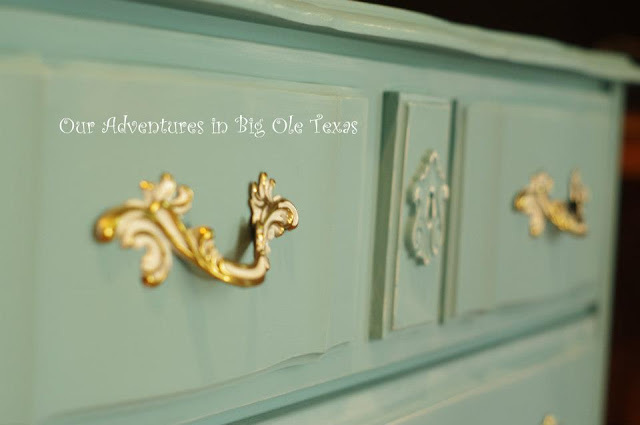 I opted to leave the original hardware because I love the way it makes the piece "pop". I can't wait to get my hands on my daughter's dresser. I have a great idea for it. It's a piece from the 1950s. 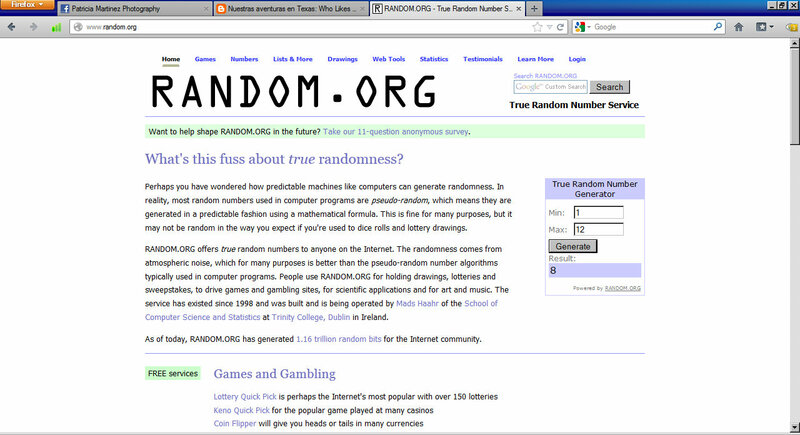 Jeannette please contact me via email to give me your address so I can ship out your prize. 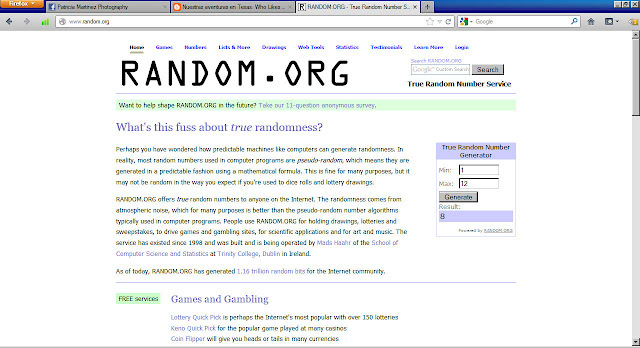 I have an awesome giveaway for September. Have a great week! It's back to school time y'all. Patty, I can't wait to receive my book! You were the first person that I ever talked to in blogland about ASCP and I've been wanting to try it since then. Thank you so much and you can bet I'll be blogging about you and your wonderful gift! I sent you an email with all my info too! Thanks again. 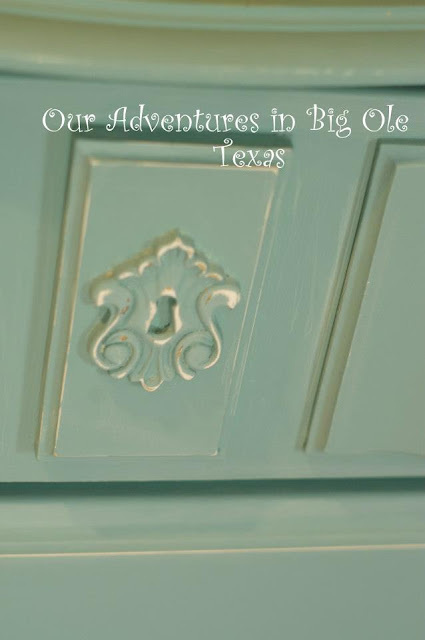 Who Likes Chalk Paint? I Do! Gee Your Hair Smells Terrific! !